Hello there! Who am I? Well I am a complete and total Disney fanatic who wishes to share the love of Disney with the world. I hope you enjoy reading my blog and getting all of the cool updates and news from my favorite place ever. I’ll share tips, tricks, videos, photos, and lots more. I want to connect with all of you, so please feel free to leave me comments here and on my facebook page, Disney By Pixie, and I’ll be glad to reply to you! I’m always looking to make new friends and creating an even bigger Disney family! Hope to hear from everyone soon! Faith, trust, and pixie dust! 7 Responses to Who is Pixie? 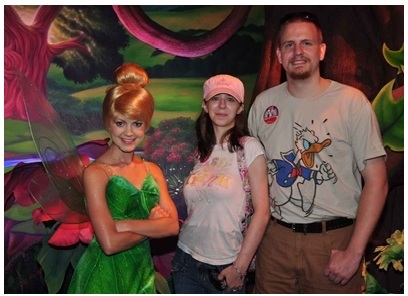 Just found your blog, yay, another Tink fan! Looking forward to reading more posts on my fav subject! Welcome to my blog!!!! Enjoy!! !